Oxford, Conn. – December 3rd, 2018 – The National Warbird Operator Conference (NWOC) announced a strategic partnership with the D-Day Squadron, offering the group the opportunity to make a presentation on their mission during the NWOC annual convention. Momentum is building for the D-Day Squadron as the vintage warbird community continues to rally around this unprecedented opportunity to return 19 flying restored C-47 and DC-3 (the civilian version of the C-47) aircraft across the North Atlantic in late May 2019 to take part in honoring the few remaining D-Day veterans like Jim who are still with us. 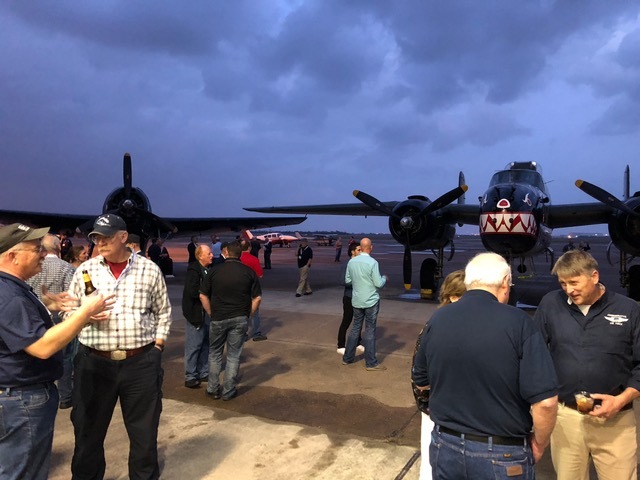 “We are proud to support the efforts of the D-Day Squadron in bringing these historic aircraft back to where the history actually happened,” declared Ann Marie Loos of NWOC. Flying along the original route across the North Atlantic used to ferry aircraft during the Second World War, the Squadron will join with its European counterpart, Daks over Normandy. These groups will create an aerial fleet to cross the English Channel on June 5th as well as participate in multiple events. Events will take place on June 2nd-5th at Duxford Airfield in the United Kingdom and from June 5th-9th at Caen-Carpiquet Airport in Normandy, France. In addition to the presentations during the NWOC annual conference, be sure to visit the D-Day Squadron table on February 21st-24th in Tucson, Arizona to learn more about this mission to pay tribute the Greatest Generation during this once-in-a-lifetime opportunity. Founded in 1993, the annual NWOC event brings together warbird owners, operators and museum directors to address particular events facing warbird owners and to discuss common goals related to the ever-changing economics, operations and regulations pertaining to flying ex-military aircraft. NWOC focuses on the exchange of ideas and information concerning the safe operation and restoration of warbird aircraft. This unique educational conference offers programs to enhance pilot skill and knowledge, expand aircraft maintenance technician and restorer knowledge, develop awareness of medical and insurance facts, and address aircraft-specific topics to ensure continued flight for these unique historic aircraft.